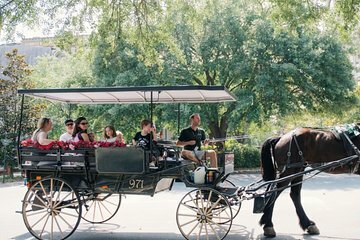 Combine two of the best ways to explore Savannah—a walking tour and a horse and carriage tour—in this single package. Embark on the walking tour with a guide, which focuses on the history of the Civil War in Savannah, and provides commentary on some lesser-known historical facts. Then step into a horse-drawn carriage for a ride through the streets, shaded by moss-covered trees. Save time by booking both of these activities in a package to get to know Savannah fully.